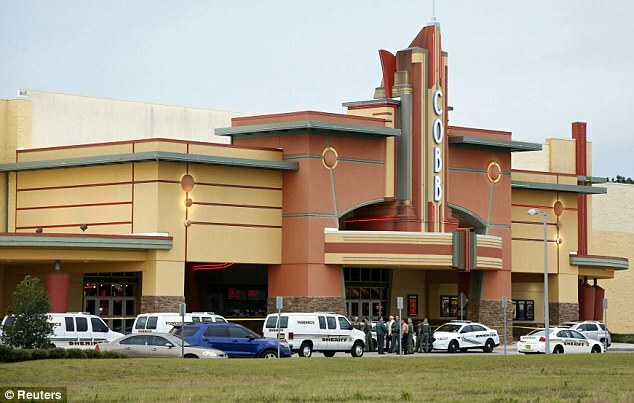 The Sheriff leading the investigation into the cinema shooting which happened after a row over texting has told MailOnline there is no chance of a Stand Your Ground defence, saying, ‘It was an empty movie theatre. If he was scared why didn’t he move seats?’. 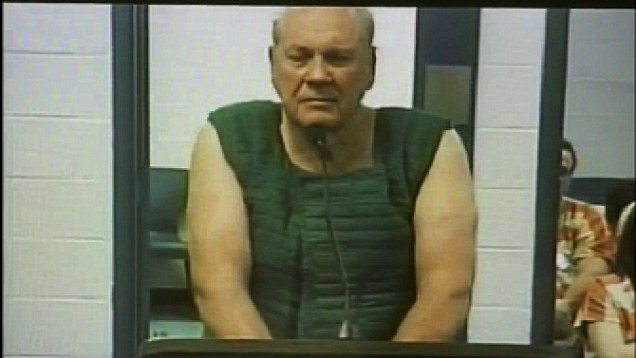 Sheriff Chris Nocco has completely dismissed shooter Curtis Reeves’ claims that he gunned down Chad Oulson because he feared for his safety and said there is no way he can use Florida’s controversial self-defence law. 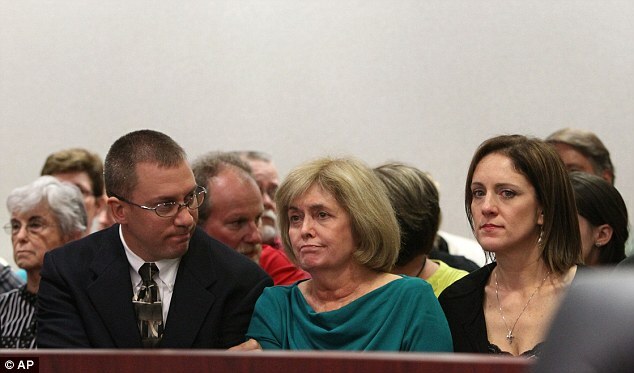 He is convinced the retired cop, 71, simply lost his temper after married father-of-one Oulson refused to stop texting and then threw a bag of popcorn at his killer’s face. Reeves’ attorney Richard Escobar suggested on Wednesday that his client was not hit with popcorn and was actually attacked with another more dangerous object. 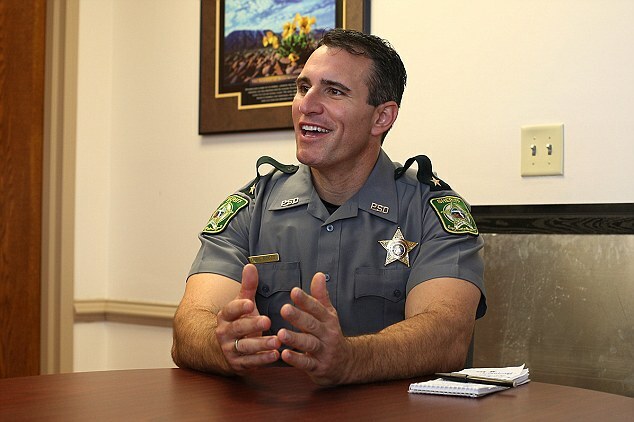 However Sheriff Nocco has completely dismissed that idea, saying nothing else was thrown and that Monday’s shooting is an open and shut case. 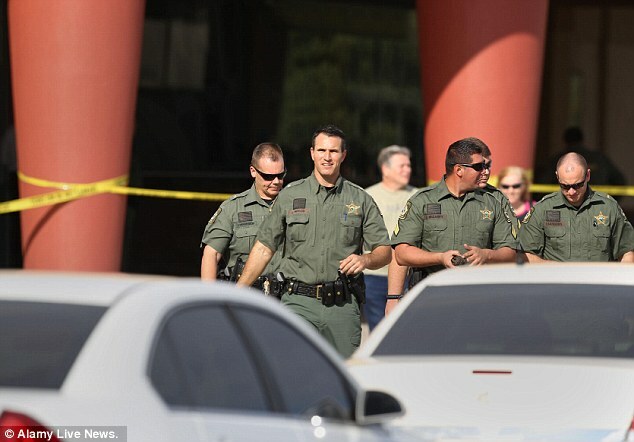 Speaking to MailOnline the Pasco County Sheriff said: ‘Stand Your Ground is a hot topic in Florida. Even if you have a clear Stand Your Ground case then you still have to work incredibly hard to prove that is valid. ‘So from our perspective, if we think it is going to be used as a defence we have to prove why it’s not relevant. We immediately brought in our states attorney’s office to work with us after Monday’s shooting. ‘I remember very clearly that we stood outside the movie theatre, got all the detectives over and said, ‘what do we think we’ve got here? Is this a Stand Your Ground case?’ Everyone said, no way, this is not Stand Your Ground. ‘One of the key elements is that the theater was not packed so there was ample opportunity for anybody to move their seat if they wanted to. ‘From our investigation it seems simply that the agitation of someone using their cell phone to text has caused this. All the evidence and witness statements we have point that way. 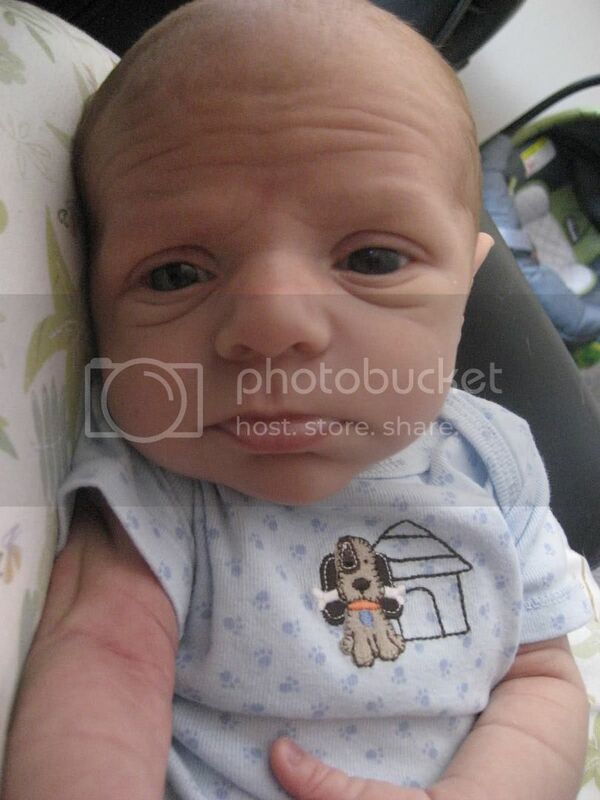 Survivor’ when he asked Oulson to stop using his phone. 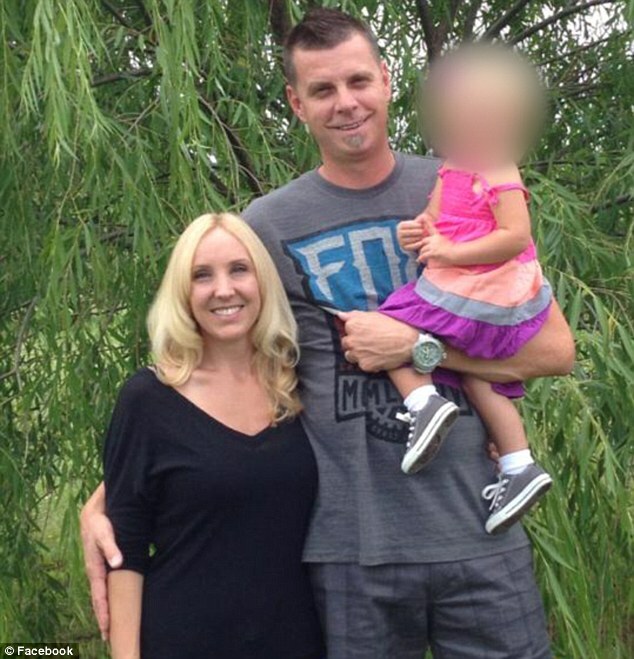 Oulson, 43 – who was with his wife Nicole – was texting the babysitter looking after his two-year-old daughter Lexy and he refused to stop. Reeves went out to get a manager, came back alone and continued the row. Nocco explained: ‘We believe the manager didn’t have a full conversation with the individual because he was dealing with other customers. Soon after the row restarted, Oulson threw a bag of popcorn in Reeves face and the older man drew a pistol from his pocket. Nicole Oulson desperately tried to shield her husband, but Reeves fired his weapon and the bullet passed through her outstretched hand and hit Oulson in the chest. Reeves then placed the gun on his thigh and calmly sat down, before being restrained by an off-duty deputy. His gun was jammed when it was recovered and investigators are not sure whether he tried to fire a second time. 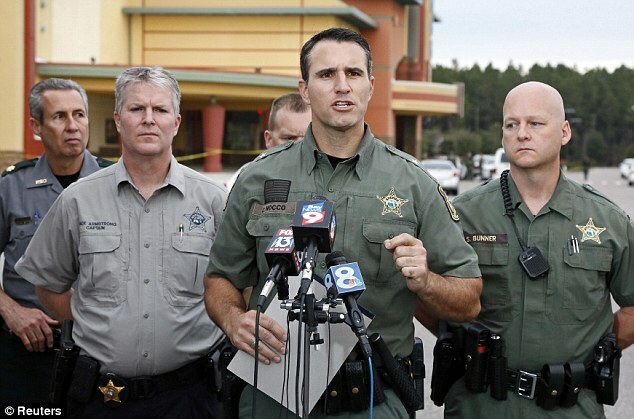 Sheriff Nocco said: ‘After he shot his weapon he put it down. It was jammed when he put it down on his thigh. Since the shooting a couple, Jamira and Michael Dixon have said they had a run in with Reeves in the same cinema back in December after they used their cell phone. 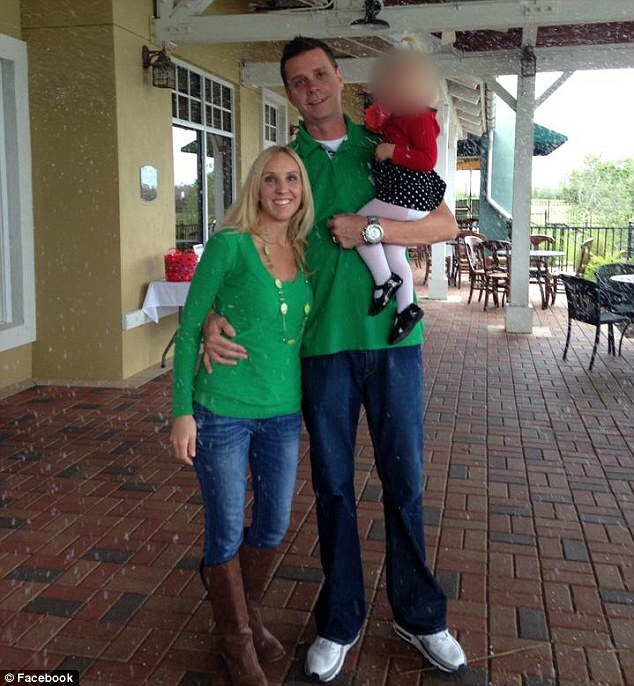 Sheriff Nocco says they are looking into the claims and they could help the case against father-of-two Reeves. Devastated Nicole was released from hospital on Monday evening. She had surgery on her hand on Wednesday and has now returned to the family home in Land O Lakes. Over the past few days a steady stream of relatives have arrived at the property to look after her and Lexy. The family has said very little since the tragedy, but Chad Oulson’s sister Kip Hoosier did talk to The Quincy Herald Whig, based in her home state of Illinois, earlier this week. Describing her brother, she said: ‘He loved to have fun. He was a joker, a kidder. He smiled and laughed all the time. 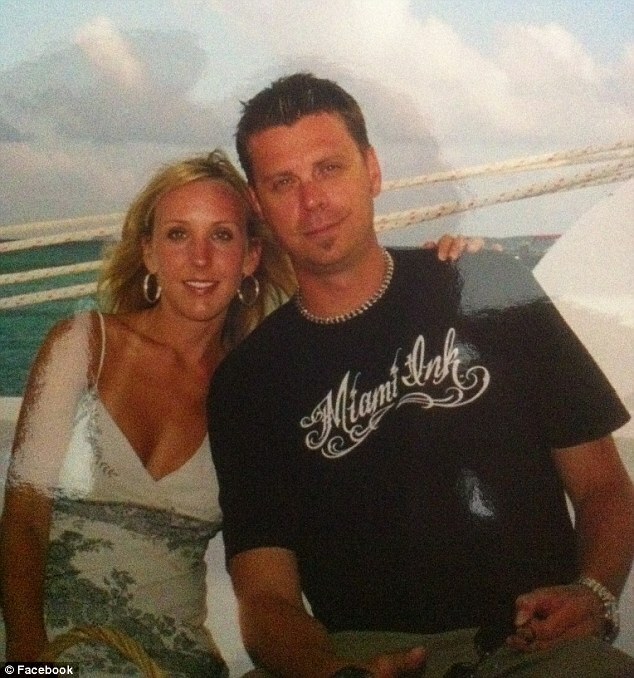 Describing the terrible moment Nicole broke the news to Chad’s mother, Kip said: ‘It happened at 1 p.m. Nicole was on the phone with my mom before a quarter after. She wasn’t at the hospital. She was still at the theater. Her brother’s killer is currently being held in Land O’ Lakes jail after he was denied bail at a court hearing on Tuesday. 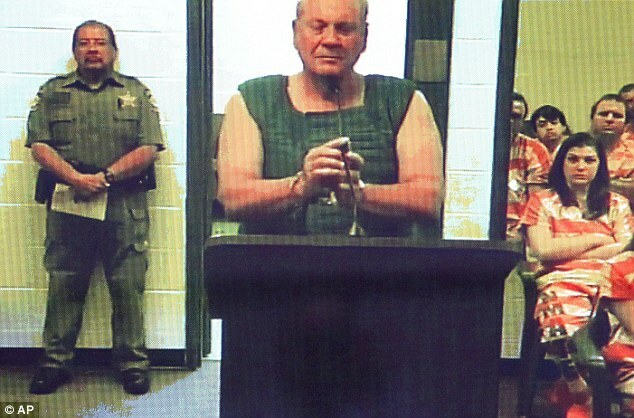 He appeared before Circuit Judge Lynn Tepper in Pasco County via video conference, standing at a podium wearing an olive-colored padded vest and handcuffs. Richard Escobar told the court that Reeves has close ties to the community, posed no danger to residents and was no threat to flee. 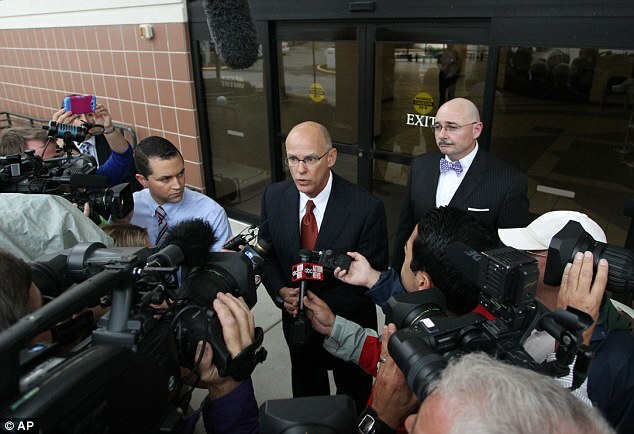 Later, outside the courtroom, Escobar told reporters his client was "heartbroken" that a life was lost in the shooting. Reeves served in the Navy and the Navy Reserves before joining the Tampa Police Department in 1966, where he was a commander for around 17 years. He also worked as a homicide detective, property crimes detective and instructor. He retired in 1993 as captain. 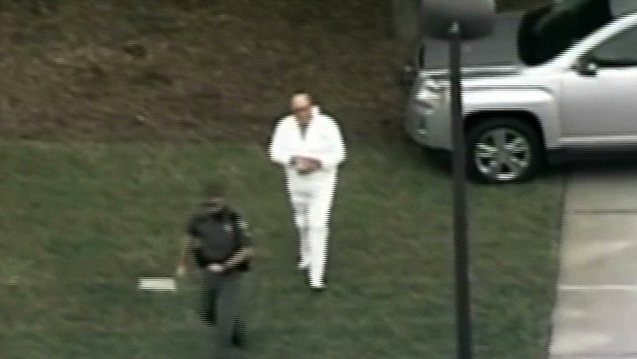 Tampa police told CNN that he was instrumental in establishing the department's first Tactical Response Team - also known as SWAT. Throughout his career, he consistently received good evaluations, praising his work ethic and leadership. He also worked on several high-profile security details, including those of presidential candidate Ross Perot, Vice President Dan Quayle, President Ronald Reagan, Vice President George H.W. Bush and Bill Clinton. He was rarely criticized, but in 1971, his supervisors said he needed to make a "marked improvement" after he demonstrated a "get-by attitude". In 1979 an evaluation cited problems with his temperament. It stated: 'His demeanor is generally very professional. Following his retirement, he served as director of security for Busch Gardens Tampa until 2005. WFLA has reported that the keen hunter served as president of the Hernando County Crime Stoppers program from 2006 to 2007. He has been married to his wife, Vivian, since 1967 and as well as son Matthew, they have a daughter called Jennifer and one grandchild. Chad’s former colleagues at Sky Power Sports have set up a Facebook page to raise money for Nicole and Lexy. This is just tragic. Some people really don't need guns. Europeans running back to that cave life. Is that buff dude the sheriff? I wasn't sure. and he can get it! This is one of the many, many reasons that I don't go to the movies. Netflix is my movie theatre. For real. Throwing stuff in a dark theater, that could have been battery acid. I hope dude walks, let white folk get mad. Of course he won't though. And now they are trying to find more instances of similar behavior in this retired officer's past, but they couldn't bring up the past instances of GZ racially profiling 5 year old boys? Man, fcuk Florida. Get ready for "Stand Your Ground, Part 2." Police say an Orlando man is claiming self-defense after fatally shooting a man that he saw walking through his front yard. Claudius Smith was charged with second-degree murder on Friday for the death of Ricardo Sanes, 21, TV station WOFL reported. Sanes' body was found with multiple gunshot wounds on Thursday morning in an apartment complex near Smith's home. Smith, 32, sprang out of his home after his girlfriend Angela Kemraj told him she'd seen someone on a surveillance monitor crossing their lawn, the Orlando Sentinel reported. Kemraj told police she saw Smith leave the house and hop a fence in pursuit. 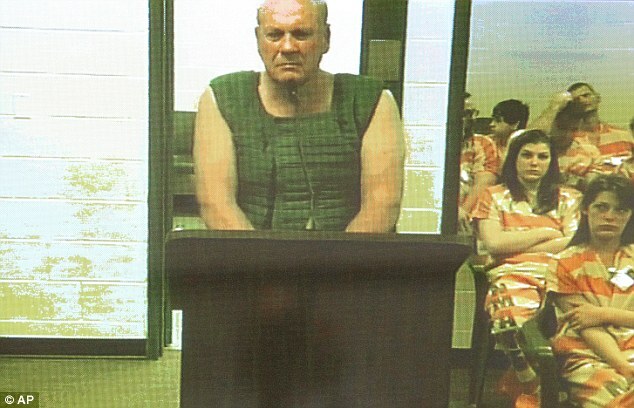 Following his arrest at his sister's apartment, Smith allegedly admitted to the shooting, the Sentinel reported in a subsequent article. A police report obtained by the Sentinel indicated that Smith told officers he'd had a recent problem with burglaries and that he was certain Sanes was the culprit. Smith pulled his gun when he confronted Sanes. A fight broke out, with Sanes allegedly throwing the first punch. Fearing that Sanes was reaching for a gun, Smith opened fire, he told police. Investigators say they found a gun stuffed in Sanes' pants. But police examining his body surmised that he had been shot in the back, which may cast doubt on Smith's account. i think that guy got killed for taking a short cut. dude that shot him was just waiting to use that gun. you dont jump over a fence and chase down someone for walking through your yard.